It was nice to hear universal praise for Britain’s railways yesterday as trains started running through Dawlish just two months after devastating storms severed the line there. 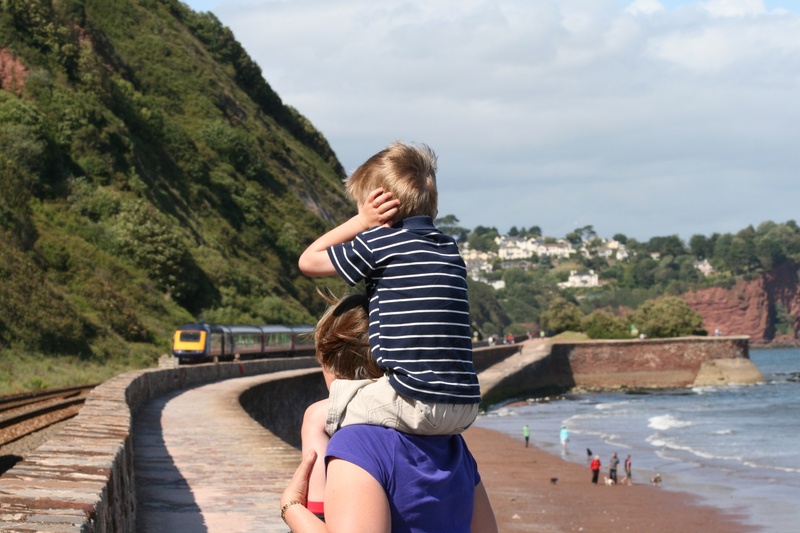 Brunel’s decision to opt for a coastal route through Devon gave Britain one of its most gloriously scenic rail rides. 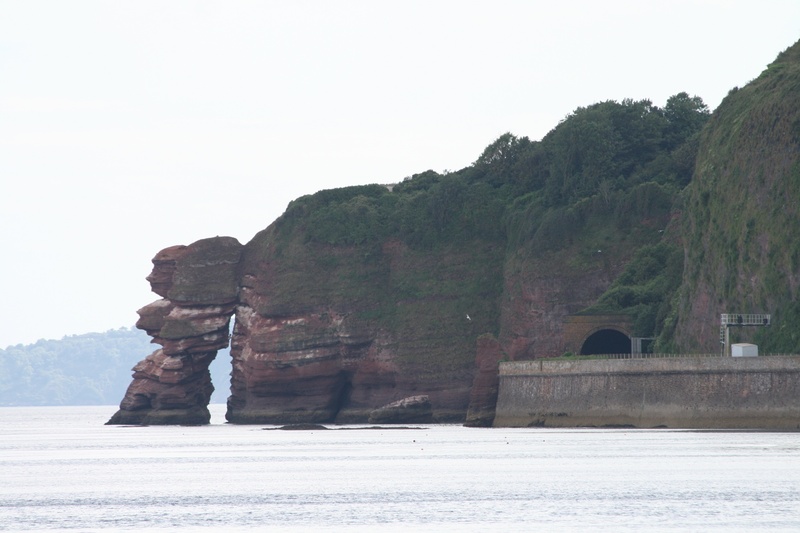 But the South Devon main line has always been at the mercy of the sea. Network Rail’s engineers have worked wonders getting trains running again, but it’s hard to imagine this is the last time the sea will halt the trains. One of my first holiday memories is visiting Teignmouth aged six in 1970. We watched the trains as they headed onto the sea wall. 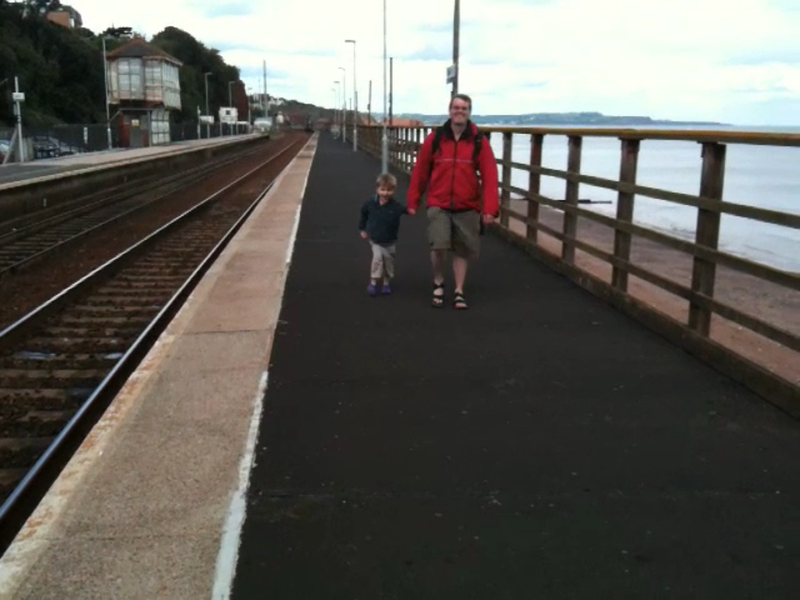 Owen, nearly three, was less impressed by noisy InterCity 125 high speed trains on the sea wall in June 2011. 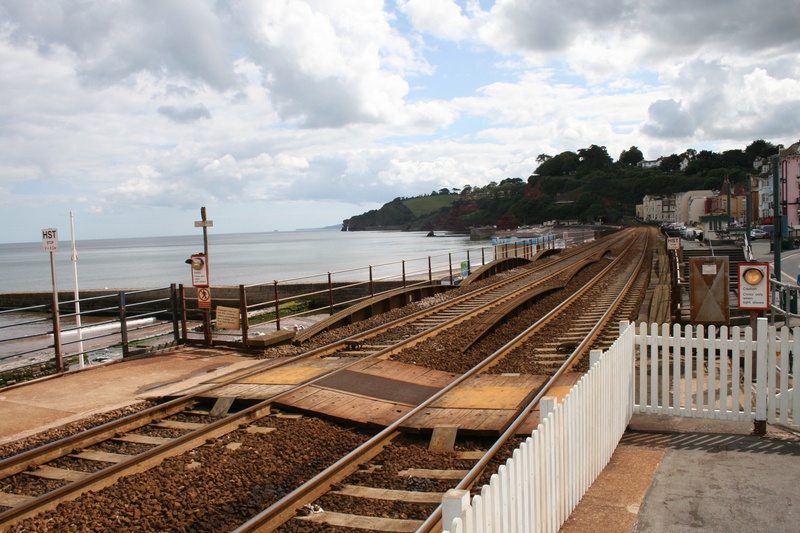 A few days later we took a local train from Teignmouth to Dawlish to savour the view, which proved a mistake. The train was so packed we barely had room to stand, never mind look at the view. A local told us this was par for the course with First Great Western. The old Great Western Railway would have been disgusted. Brunel was a pioneer. He built the line through Devon using atmospheric trains, propelled by air. But the system proved unreliable and was replaced by steam trains after a year. It cost shareholders a fortune. But Brunel, like his contemporaries, built railways amazingly quickly. He would have been amazed at the snail like progress of 21st century railway building. 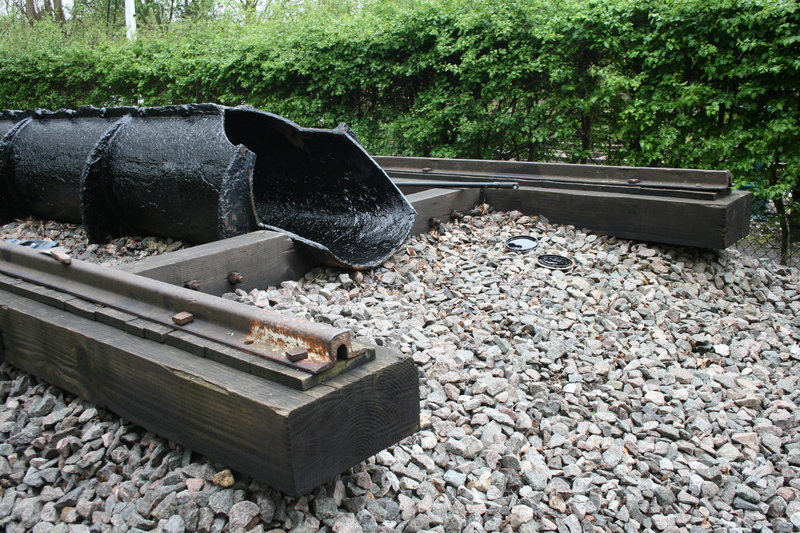 PS: you can see a surviving section of 1840s atmospheric railway at Didcot Railway Centre – below. This entry was posted in Railways and tagged Brunel, Dawlish, Great Western Railway by Rob Skinner. Bookmark the permalink.